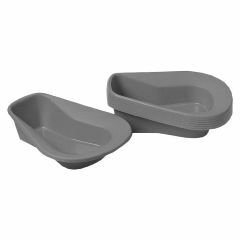 AllegroMedical.com presents The Stack a Pans. Helps minimize storage space. Fits over standard toilet when seat is raised. Graduated to 800 mL. Non-stick surface. Also available in pigment-free to support "greener manufacturing. ".